Apparently walnuts are drugs and the FDA is considering a drug-specialized screening process before approval for consumers. This is the case with Diamond Foods, a company introduced in 1912 by a group of walnut farmers from California. The FDA has a problem with Diamond Foods over their promotion of walnuts being healthy. Which is something that hasn’t been approved by the federal agency, and we wonder why this is? 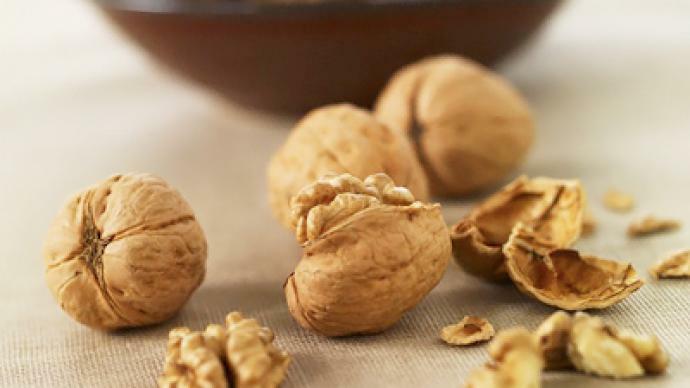 Especially when walnuts have positive effects on the health of our brain, blood, liver, kidneys and more. To emphasize this a little more, Diamond Foods mentioned to the public that walnuts are a prime source of omega-3 fatty acids, which is so. The company even talked about omega-3 fatty acids being responsible for a multitude of health benefits such as a lowered risk for heart disease and certain forms of cancer. The links are backed up by evidence from many studies and scholarly articles. With this having science behind it, it isn’t as if this is all false and it being wrongfully labeled on walnut products. Nevertheless, the FDA sent Diamond Foods a very touchy, personal letter, aggressively stating that: “Your walnut products are drugs… they may not legally be marketed in the United States without an approved new drug application.” Our country certainly doesn’t need healthy food being labeled as a ‘drug,’ as it would be a slap to the faces of millions of consumers. With fruit and vegetables, you aren’t increasing your likelihood for chronic diseases, ulcers, heart attacks and cancer, which can’t be said for many FDA-approved prescription pills. Even though Diamond Foods has evidence that supports the health benefits of eating walnuts, the FDA told them that their products were “misbranded.” The FDA didn’t want the company to actively promote health claims that the federal agency didn’t approve of regardless of what support they have. You’d be surprised at how often threats to consumer safety be approved by the agency. The FDA responded to Diamond Foods with a possible “seizure” if there was no compliance by the company. Imagine being at the store and picking up walnuts and reading directions for its use. Does that seem rational? No, it doesn’t. Yet it is okay for opioids and alcohol to be on our streets. It seems the FDA wants to increase pressure and place petty demands on organic farmers to ensure the healthcare and pharmaceutical industry reap massive profits. While Snopes says this is false, the reality is that the investigation is pending and hasn’t been completed. More importantly, the FDA doesn’t want Organic Farmers to tote what health benefits come from eating these foods and other healthy foods, which could set a precedent. Why would the FDA not want the population to know what healthy foods can do for their bodies? Maybe because it has it’s hands in political pockets, and other ulterior motives to keep America dumb.